Events are a key part of many b2b marketing strategies. Get them right and it’s possible to walk away with pockets full of business cards and calendars full of meetings with hot prospects. Get them wrong however and you’ll have some serious explaining to do over why so much has been spent with little or no return. A lack of return on event investment is a major concern for many b2b marketers. 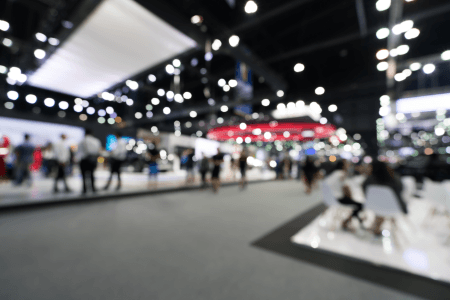 Anyone who has attended trade shows and conferences in the past will have been struck by the amount of money some companies spend to draw visitors to their stands. In fact, the biggest brands have been known to spend sums totalling 6 if not 7 figures. For those companies with more limited event budgets, it pays to think creatively and innovatively when it comes to getting visitors to your stand and ensuring they leave with favourable and memorable impressions of your brand. Having attended, exhibited, sponsored and spoken at many b2b marketing and industry events, we’ve learnt many valuable lessons on what it takes to succeed and ensure the investment proves its worth. 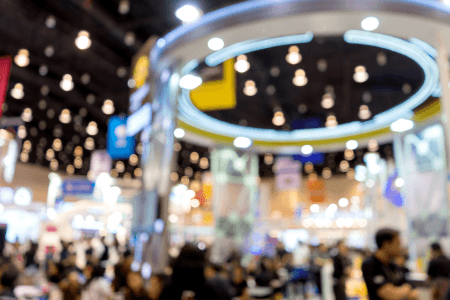 When it comes to exhibition stands and the tools brands use to attract visitors and encourage them to stay and engage with representatives, we’ve seen it all. 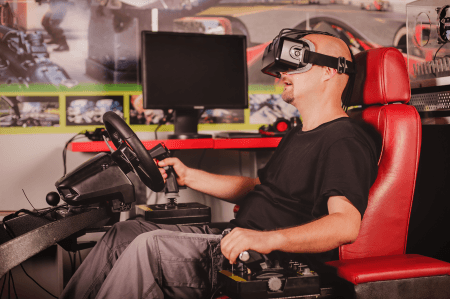 From car companies giving away free detailed car models and leather bags for correct answers in a trivia quiz, to tech giants running virtual reality gaming competitions. If this sort of thing sounds a little out of your budget, fear not! Simple things, such as giving out free bottles of water, offering comfy places to sit, and free phone charging are also a big draw for event visitors. Do whatever you can to encourage visitors and create a buzz around your stand. It leaves them with positive feelings towards your brand and provides a low-pressure way to start a conversation. It’s important to remember that events are not about the hard sell. To really succeed, you need to create memorable experiences that will help brand recognition and recall. While visitors may not need or want to buy from you there and then, make sure they think of you when the right time does come. As well as promoting your products and services, events can also be used to show off your people and demonstrate thought leadership by taking to the stage. Nearly every event in every industry will offer speaking opportunities. This can include presentations to a large audience or running a workshop session with a smaller audience. The advantages of securing these coveted speaking slots are clear. You are standing in front a relevant and engaged audience who want to listen to you. An entertaining and useful presentation goes a long way towards creating positive feelings and lasting recognition towards both the presenter and the brand. These positive effects are not just limited to the people in the room either. The best talks are shared in blogs, videos and on social media meaning the potential audiences can be huge. Given our experience in every aspect of event marketing, from attending and exhibiting to sponsoring and speaking, below are some of our top tips to help you get the most out of b2b events. Most marketers will have little trouble finding 10–20 events they would like to attend in a given year. Budget and time constraints however may mean only 3-4 events are possible. Make sure to research the quality of attendees and pick the right event for your objectives and budget. For example, if the aim is to have sales people network with prospects and set up meetings, a smaller event focused on the end user may be more appropriate. If the aim is to promote a huge new product launch with a large exhibition space required, a larger expo-style event is the way to go. 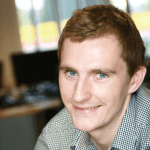 As well as choosing the right events, you also need to make sure you send the right team. This is often a case of choosing between more marketing-focused staff and sales-focused staff. While sending both types is ideal, this may not always be possible and your objectives will determine who should go. 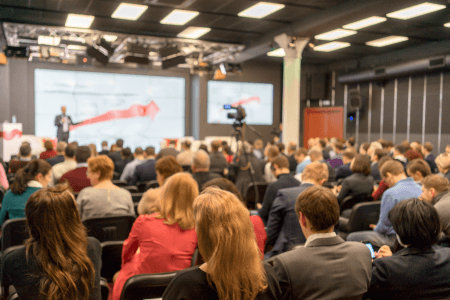 The smaller, more sales-focused events will require your best salespeople who are comfortable working the room and making connections. The larger expos will require product marketers and technical staff to effectively demonstrate new products and answer questions. Ultimately, to succeed at an event means attracting people to your stand and encouraging them to engage and interact with your brand as much as possible. And when they do leave, make sure they remember the experience. Free gifts, product demonstrations and the chance to experience exciting new technologies are just some of the techniques you can use. If you take inspiration from some of the ideas mentioned above, you’ll be stood proudly in front of a show-stopping stand. While it may be difficult to tear yourself away, it’s important to walk the floor and meet people away from your stand as well as check what competitors are up to and what else is generating a buzz. Conversations in the coffee queue for example are often easier as people are more likely to have their guard down. You can always invite them down to your stand later on in the day to carry on the conversation. Demonstrate the knowledge and expertise of your employees by having them take to the stage and deliver presentations on your key topics. It will raise awareness not only among the immediate audience but also throughout the event as a whole and with those following on social media. Make sure to raise awareness of your attendance at the event in marketing campaigns running up to the event. Emails, blog articles, social media posts and press releases can all be used to generate a buzz around your brand and encourage people to visit your stand and take in one of your talks. If everything goes well and you leave with plenty of new leads, make sure to follow up properly. Sending emails and picking up the phone can be used to reconnect after the event and set up meetings. If you gave a talk, post the video on YouTube and write a recap for your blog. Keep the conversation going as long as possible!